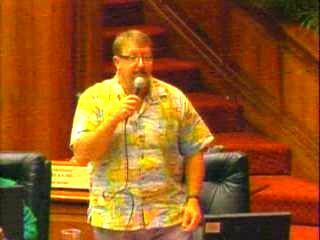 3/1/2013 H Passed Second Reading as amended in HD 1; placed on the calendar for Third Reading with Representative(s) Belatti, Jordan, McKelvey, Oshiro, Ward voting aye with reservations; Representative(s) Evans, Fale voting no (2) and Representative(s) Coffman, Hanohano, Morikawa, Nakashima, Takumi excused (5). March 2, 2013 March 2, 2013 Hawaii House Minority Representative Cynthia Thielen, Representative Gene Ward Ph.D.
Measure Title: RELATING TO PUBLIC SCHOOL REDEVELOPMENT. 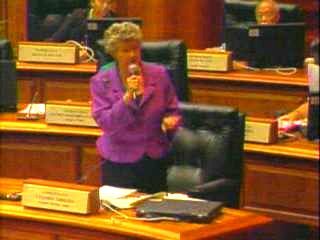 3/1/2013 H Passed Second Reading as amended in HD 1; placed on the calendar for Third Reading with Representative(s) Belatti, Carroll, Cheape, Fale, Fukumoto, Johanson, Jordan, Lowen, McKelvey voting aye with reservations; Representative(s) McDermott, Thielen, Ward voting no (3) and Representative(s) Coffman, Hanohano, Morikawa, Nakashima, Takumi excused (5). March 2, 2013 March 2, 2013 Hawaii House Minority Representative Gene Ward Ph.D. RELATING TO THE HAWAII HURRICANE RELIEF FUND. 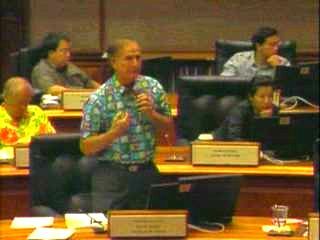 3/1/2013 H Passed Second Reading as amended in HD 1; placed on the calendar for Third Reading with Representative(s) Fale, Johanson, Onishi, Thielen, Ward voting aye with reservations; Representative(s) Cheape, Cullen, Fukumoto, Ichiyama, Jordan, Kawakami, McDermott, Takayama, Tokioka voting no (9) and Representative(s) Coffman, Hanohano, Morikawa, Nakashima, Takumi excused (5). 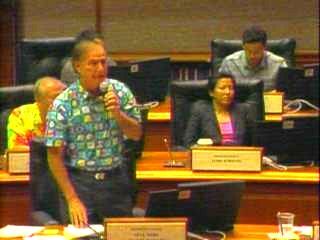 3/1/2013 H Passed Second Reading as amended in HD 1; placed on the calendar for Third Reading with Representative(s) Cheape, Johanson voting aye with reservations; Representative(s) Fale, Fukumoto, McDermott, Thielen, Ward voting no (5) and Representative(s) Coffman, Hanohano, Morikawa, Nakashima, Takumi excused (5). RELATING TO THE NATIONAL GUARD. 3/1/2013 H Passed Third Reading with Representative(s) Ward voting aye with reservations; Representative(s) Cabanilla, Fale, McDermott voting no (3) and Representative(s) Coffman, Hanohano, Morikawa, Nakashima, Takumi excused (5). Transmitted to Senate. 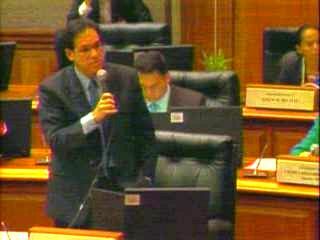 3/1/2013 H Passed Second Reading as amended in HD 1; placed on the calendar for Third Reading with none voting aye with reservations; Representative(s) Cabanilla, Evans, Fale, McDermott, Thielen, Ward voting no (6) and Representative(s) Coffman, Hanohano, Morikawa, Nakashima, Takumi excused (5).